In order to ensure that everybody has the best experience, we manage our network by prioritising different types of traffic so that our clients' Internet is running as smoothly as possible - no matter the time of the day or the utilisation of the network. *Actual speed is dependent on line speed, distance from the exchange, quality of the cabling in your area and current capacity of your Telkom exchange for DSL connections. Throttling may be applied to home uncapped packages once the monthly threshold is reached. Non‑Realtime services are shaped on a sliding scale, with higher bandwidth users getting shaped more than low bandwidth users - But only on non‑realtime services, never on realtime services. This helps ensure that our network does not get congested, and that all of our clients have an overall good broadband experience. If left completely unchecked, torrents and non‑realtime downloads could use most of the network capacity, which can result in other more less interactive types of traffic becoming slow and unstable. We need to manage the non‑realtime services of our higher bandwidth users so that everyone (including them) can have a great realtime broadband experience. Our system looks at a variety of factors, such as bandwidth consumption patterns and historical usage, to determine which users will be shaped when the network is strained. Our systems do this dynamically, and intelligently, so there is no set guideline to determine how, or if you will be shaped - as it is determined by the overall network capacity at any given moment. The network management system determines how to optimise the available network capacity to benefit all clients and give the best possible overall internet experience. At Peak Times, Non‑Realtime services will be shaped on a sliding scale, with higher bandwidth users subject to more shaping more than low bandwidth users. Realtime services will continue at full speeds. Non‑Realtime traffic will generally not be shaped at all, and you will get the fastest speed your line and the network allows. *Please Note: The graph above is not a fully accurate depiction of network utilisation and only meant to provide an averaged indication. Afrihost cannot guarantee shaping or absence of shaping at a specific time - as this is entirely dependent on collective user behaviour (demand for bandwidth) at any given time of the day. Our products are shaped on a sliding scale, starting with Home Uncapped users. Home Uncapped packages are subject to throttling should a user reach the monthly threshold - but only if our network is under strain. Premium Uncapped packages are not subject to throttling or monthly thresholds like Home Uncapped packages, and will always enjoy full-speed Realtime Services under normal circumstances. Premium Uncapped packages can, however, be subject to the shaping of Downloads and P2P Traffic when there is a high demand on the network. Our intention is not to shape Priority Uncapped packages, however shaping can be applied during times of extreme network congestion. When applied, only non‑realtime, non-interactive services will be affected by shaping, to ensure the best possible broadband experience. Priority Uncapped users have access to the Priority Optimisation feature in ClientZone, which restricts P2P Traffic specifically to ensure mission-critical services perform at the highest possible levels. Our intention is not to shape Capped Data packages, however shaping can be applied during times of network congestion. When applied, only non‑realtime, non-interactive services will be affected by shaping, to offer the best possible broadband experience. As a Capped client you are unshaped no matter what services you use - regardless of the time of day and your usage total. This means that we will not slow down your connection speed (by shaping or throttling) no matter what you download or connect to. (Actual speed is dependent on line speed, distance from the exchange, quality of the cabling in your area and current capacity of your Telkom exchange). When there is no strain on the network and the it is performing under normal conditions, there will be no shaping applied whatsoever. The network is under low strain and Level 1 Shaping will be implemented. Home and Premium Uncapped P2P protocols will be shaped. Large downloads (such as software updates) will be shaped on Home and Premium Uncapped products. The network is under medium strain and Level 2 Shaping will be implemented. Level 2 Shaping includes all previous Shaping rules. FTP and Cloud Services (for example Google Drive and Dropbox) on all Home and Premium Uncapped products will be shaped. Peer-to-Peer Services on Priority Uncapped products will also be shaped. The Network is experiencing unusually Heavy Strain and Level 3 Shaping will be implemented. Level 3 Shaping includes all previous Shaping rules. FTP and Cloud Services (for example Google Drive and Dropbox) on Business Uncapped products will be shaped. Peer-to-Peer Services on Capped products will also be shaped. Shaping is the implementation of protocol-based priority, to manage demand on the network (i.e. some parts of the internet are made to be faster than others, using prioritisation). When shaping is implemented, realtime, interactive services are given higher priority than non‑realtime, non-interactive services, effectively slowing the performance of non-prioritised services in favour of those that are more important to an overall good broadband experience. Shaping can be applied to any user on a shaped data package in general (not based on usage thresholds), and the impact to non-priority services is determined by the level of demand and available network capacity. Shaping is applied only when demand on the network exceeds available network capacity, and relieved when demand decreases. Regardless of the line speed, a throttled account will only be able to achieve limited speed when throttling is applied. 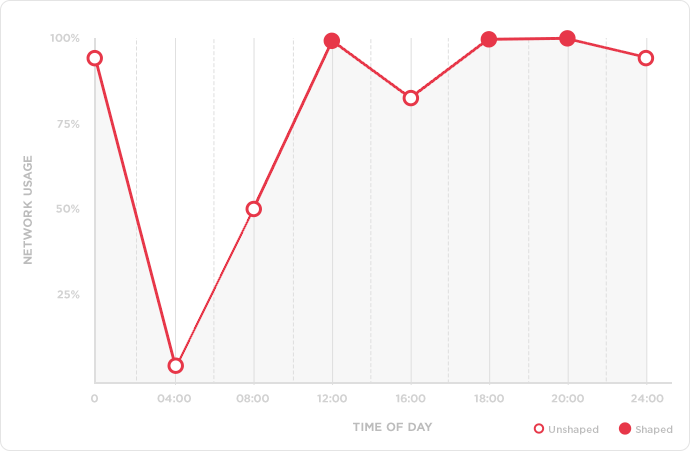 The line itself is not affected, and using an unthrottled account will return line performance to normal. Throttling is applied on an individual per user basis, based overall usage within a given month. Throttling is only ever applied when demand on the network exceeds available network capacity, and is de-activated when demand returns to normal levels. How much data can I move each month? This will depend on your Internet usage habits. Realtime services will not be throttled or shaped, with the exception of home uncapped when the network is heavily strained. Non‑Realtime services may be shaped during peak hours. You can visit our Uncapped Usage Leaderboards to see how many GBs our current high bandwidth uncapped clients are managing to use each month. Where can I see how much data I use? Your bandwidth usage is available via the Afrihost ClientZone - along with tools which help you to manage every single aspect of your Afrihost experience. Is Afrihost DSL shaped or unshaped? Afrihost provides a variety of world-class broadband connectivity products which are catered to various client needs. We have both Shaped and Unshaped solutions for our Capped and Uncapped DSL Packages. Will I always get my maximum line speed all the time? We provide the best internet experience we can. Unfortunately, sometimes this involves factors outside of our control, like the quality of the copper on your DSL line or high demand on your local Telkom exchange, as well as demand on our network. So while we'll do our absolute best to give you the very best speeds possible at all time, performance may vary from time to time, depending on the factors mentioned as well as others. Not a problem, simply log into ClientZone and edit your Package. Mistakes do happen, so if you need to change a package again you can, but you're limited you 2 package changes per month. How is data "potentially shaped"? Surely it's shaped or not shaped? Our data is not shaped by default, even if the package you choose is subject to shaping. Shaping only comes into play when necessary. You mention "peak" or "busiest times". When is this exactly? Unfortunately we cannot give a clear answer on this, because our network runs completely dynamically and adjusts according to the live needs of all users at a given time. As example, for the majority of any normal day, you connection shouldn't be subject to shaping - however, if a new operating system update comes out and suddenly thousands of people are downloading more than they usually do, our network will apply shaping to ensure users still have an overall favourable experience and nobody gets too much or too little. No. We have grow our network constantly over time to adjust to the needs of all our users. We made a decision to offer multiple product segments in order to cater to as many clients' needs as possible. A few years back we sold Shaped Capped packages as was the norm for the market at the time, but with the introduction of Uncapped DSL we changed our Capped product to Unshaped to provide more differentiators between the two products. For many years we have offered Unshaped Capped DSL Exclusively, but now we are simply offering one additional product to cater to more users' needs. What services are going to be shaped and when will they be shaped? I was on Capped which was unshaped, why are you now shaping me and forcing me to pay more? We are not forcing clients to pay more for the same service. We had a limited time promotional offer until 31 December 2016, during which we doubled all our capped users' data allocation. How do I know if I'm on a Shaped or Unshaped package? You can simply check in ClientZone which kind of package you're currently on. If you're on Capped DSL Your Package will be grouped under "Shaped" or "Unshaped" accordingly. If you're on Uncapped, please see the "Product Shaping" section above for clarification. I want to change from Shaped DSL to Unshaped Capped DSL. How do I do this? Simply visit ClientZone, go to "Connectivity" and then navigate to the product in question. Once you've done this, choose "Edit Package" and then choose the package that you would like to change to under the "Unshaped Capped" heading. How do I sign up for Unshaped Capped? When you sign up for any capped product, you'll be asked whether you want a Shaped or Unshaped connection. We sell Shaped data for half the price of Unshaped data. My data was halved after I opted for Unshaped Capped, will Afrihost Plus+ still double my data? We had a limited time promotional offer until 31 December 2016, during which we doubled our all our capped users' data allocation. Afrihost+ will continue to double your connection according to what you are receiving normally. 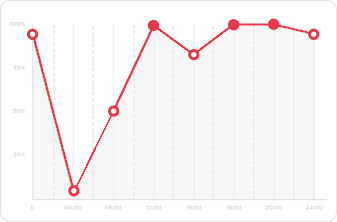 Is the graph on your site a live representation of network usage? No it is not. It is an average illustrative representation of our network capacity and usage as at December 2016. With Free-Time, what's the difference between Capped and Uncapped now? Why would I want either package as they are effectively the same (both are shaped and unlimited)? Free-Time does offer great value on our Capped packages, however it is limited to certain times of the day. Uncapped accounts do not have time-of-the-day limitations. Are Shaped Capped shaping policies the same as Uncapped? No they are not. Shaped Capped is still a more premium product compared to uncapped as it generally offers a more favourable user experience. For more information on what to expect, please refer to the "Product Shaping" section on this page. Which is better, Unshaped Capped or Premium Uncapped? Shaped Capped is still a more premium product compared to uncapped as it generally offers a more favourable user experience. For more information on what to expect, please refer to the "Product Shaping" section on this page.